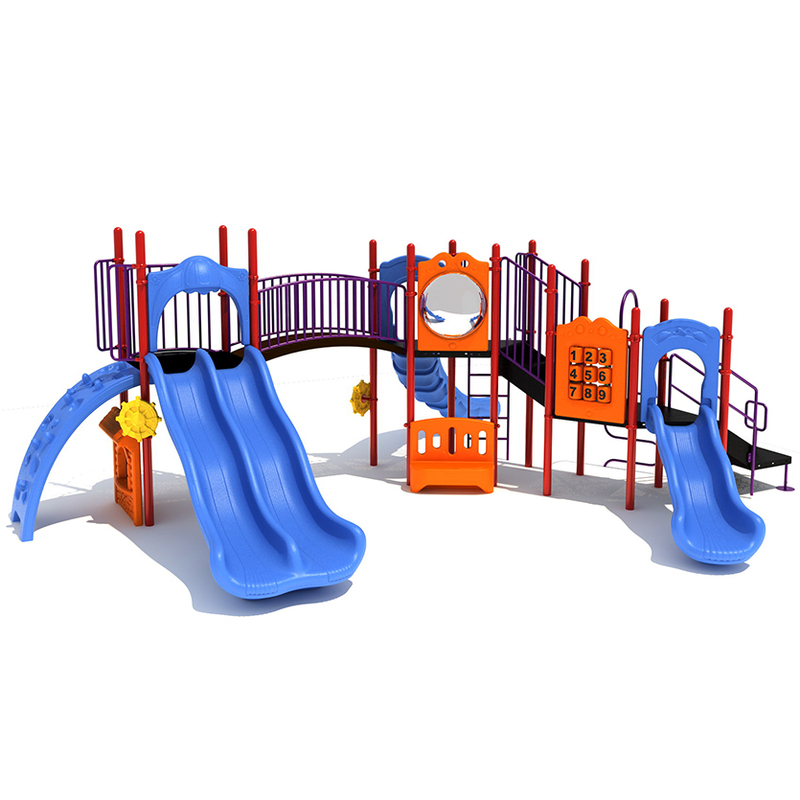 Children are always looking for something new and exciting for play time. 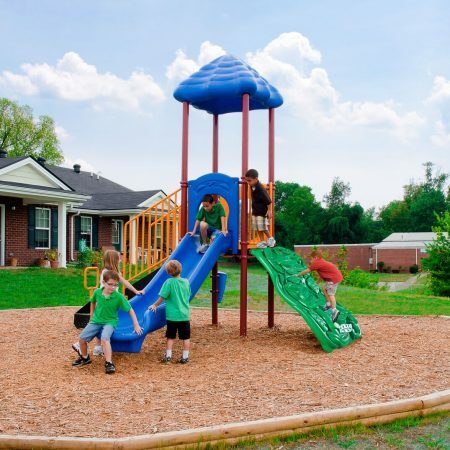 The Alameda play system combines several favorite play elements to create a structure that will not only encourage children to play, but help to keep them active. 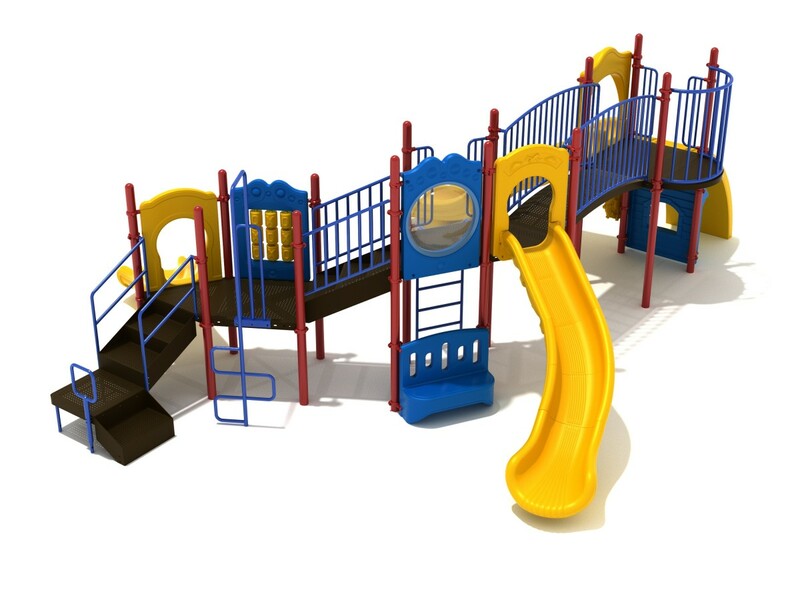 Three slides provide a major focal point for the unit as children love to go flying back to the ground. 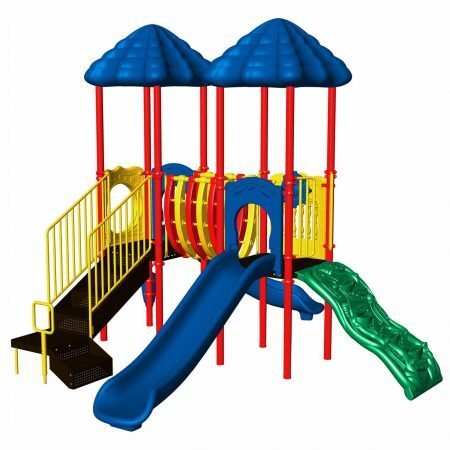 Children are always looking for something new and exciting for play time. 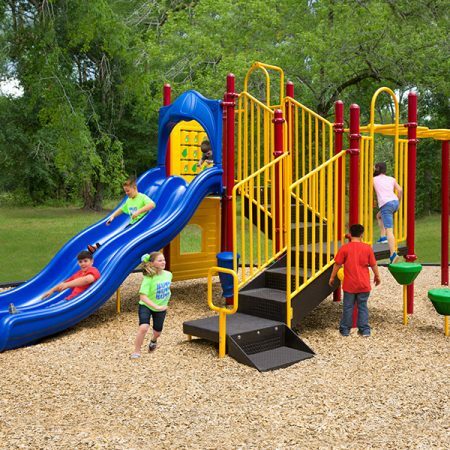 The Alameda play system combines several favorite play elements to create a structure that will not only encourage children to play, but help to keep them active. 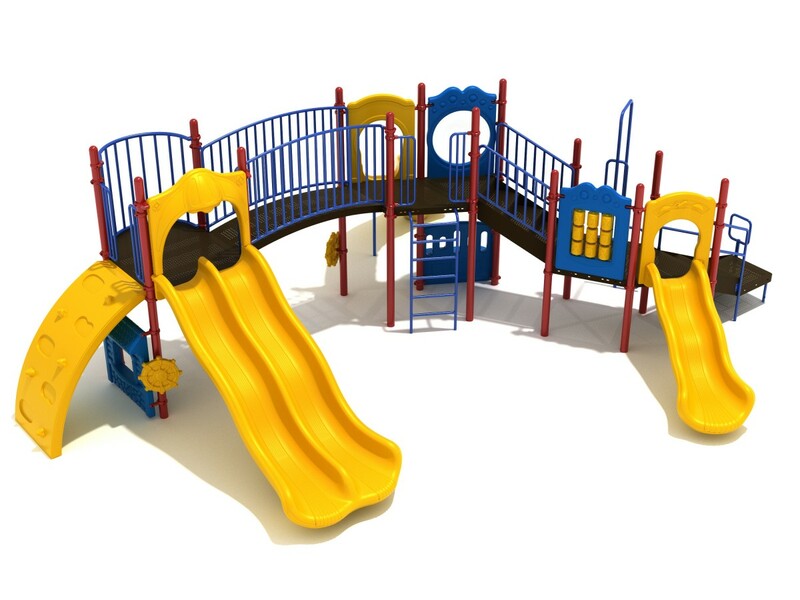 Three slides provide a major focal point for the unit as children love to go flying back to the ground. 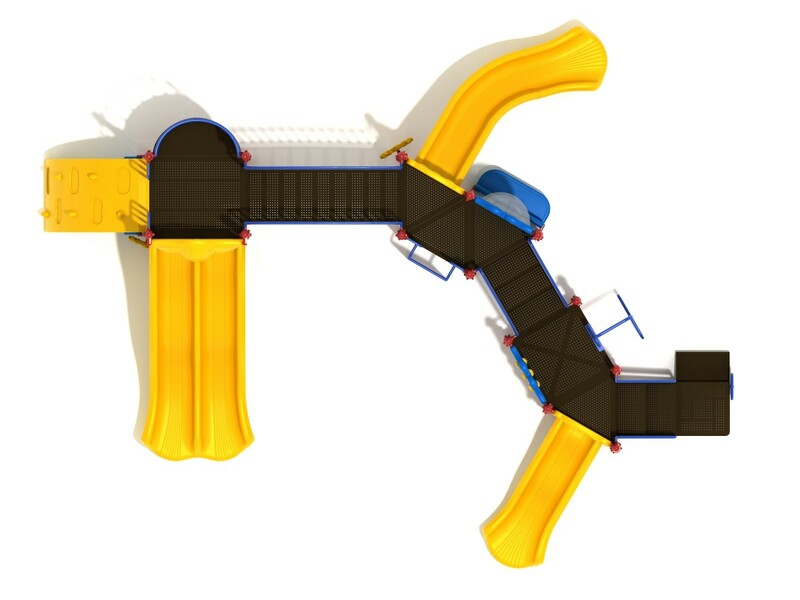 A single wave slide, double wave slide, and a right turn slide branch off of the unit. 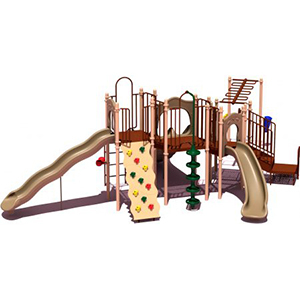 Children ages 2 to 12 years old can enjoy climbing an arch panel climber, vertical ladder, or snake climber to reach the decks of the Alameda. 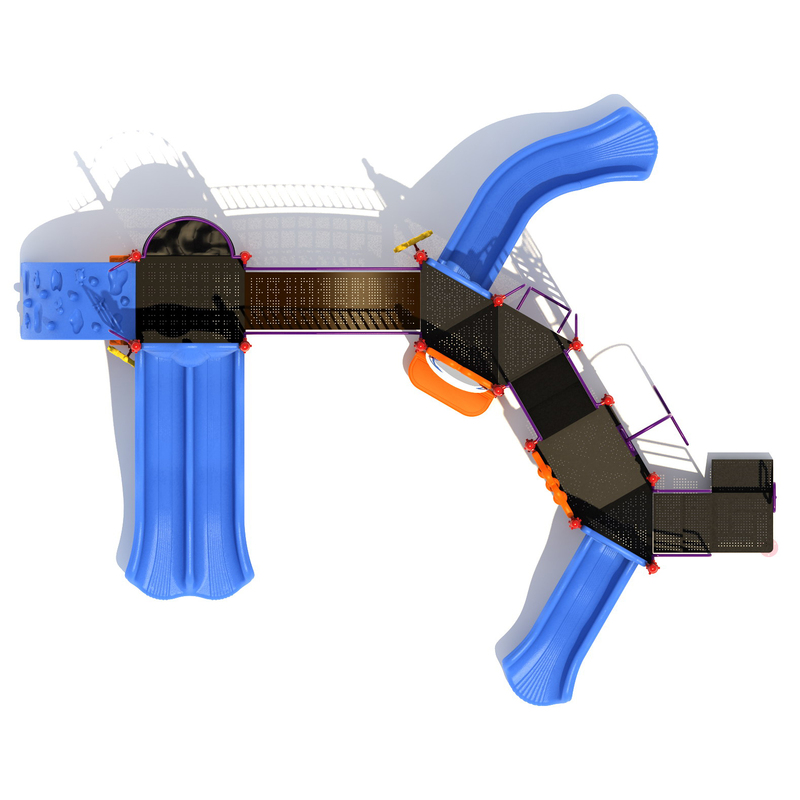 Two steering wheels and a storefront panel are located at ground level for imaginative play. A bench panel, also at ground level, allows children to sit for a moment if they become tired during play. Located on the decks children will also find a bubble panel and a number panel. 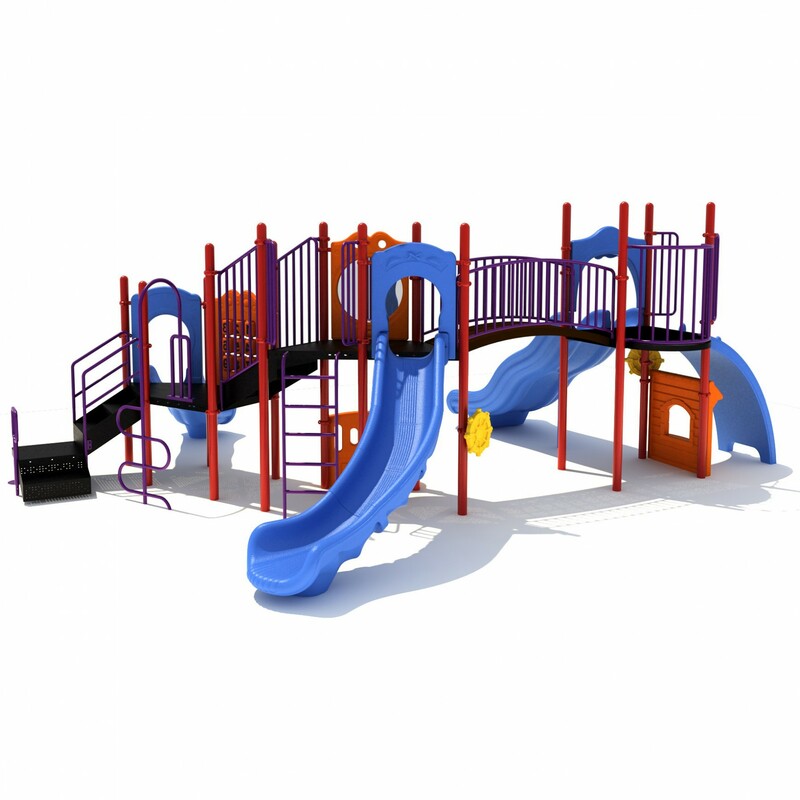 The Alameda play system is guaranteed to be a playground favorite.